Saturday, August 30th, saw Omnia and Lost Stories perform live as part of the Art Bengaluru festivities at the well renowned UB City, Bengaluru. 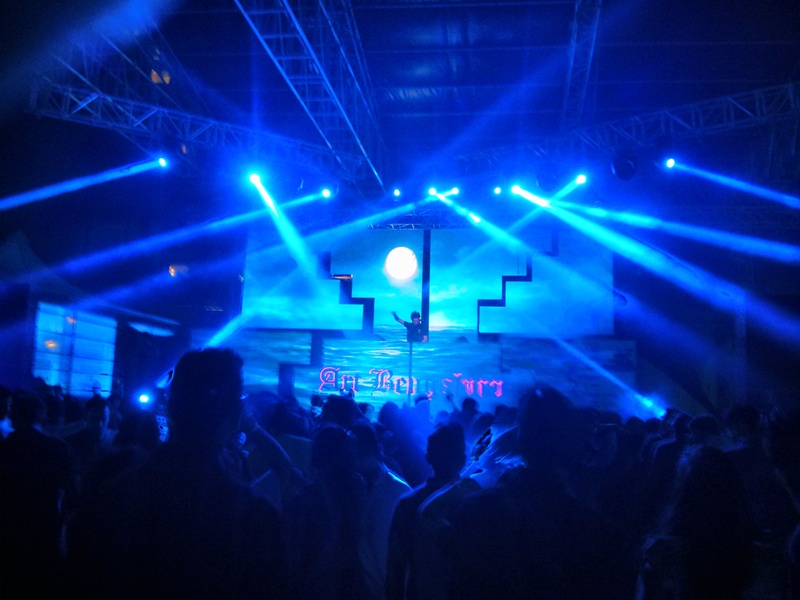 For a weekend offering music fans of all genres such an abundance of choice, it was pleasant to see a crowd that was sizeable in number and that knew it’s EDM fairly well. Getting to the line-up, Lost Stories opened the set, infusing a progressive feel to the playlist. Some of the few notable tracks included KSHMR‘s latest hit, ‘Jammu‘ , an awesome dub-like mix of ‘Where Are U Now‘ amongst others.His playlist had something in store for even for Rock lovers with the popular House version of ‘Smells Like Teen Spirit‘. What caught us off-guard was his exclusive remix of ‘Carnival Of Rust‘ by Poets Of The Fall that brilliantly incorporated a melodic build-up to the rock track.The timing couldn’t haven’t been better ! Omnia brilliantly took over the set from Lost Stories, gradually transporting the crowd to the 138-BPM realm with his standard uplifting and melodic Trance. The line-up definitely lived up to everyone’s expectation. Stay tuned to EDMofy for more coverage on similar upcoming events at your nearest city! Previous article Sunburn Daman 2015 line up is out!